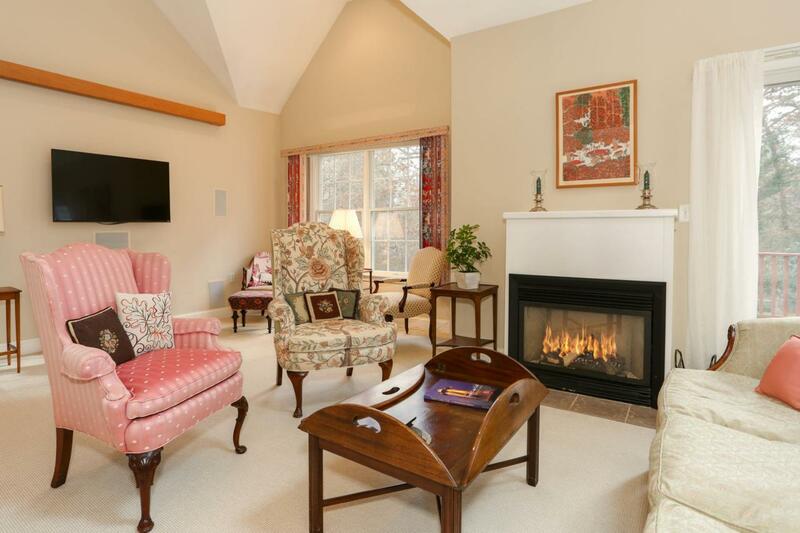 This Impeccable Stratford Ponds end unit is sited privately in the complex with a woods view from the deck. With over 2100 SF, PLUS partly finished lower level, it will suit the Owner and/or lots of company. It offers a spacious 1st floor MBR suite with walkin closet and cathedral ceiling. 1 BR & bath upstairs PLUS bonus office/studio AND a spacious sitting loft. A gracious foyer entry with columns defining the Dining Rm and the Living Rm adds an air of sophistication without formality. The vaulted ceiling living room has a gas fireplace, slider to deck with morning sun and plantings against the wooded buffer. The lower level has a wine cellar, home office space and a play room-perfect getaway space. The kitchen opens to the DR and is made for interacting with guests while cooking.Don't miss walkthrough video under Photos tab. FLoor plans under photos. Special assessment has been paid in full. Measurements and details to be verified by buyers or their agent. Heated pool, tennis courts and walking trails will keep you young. 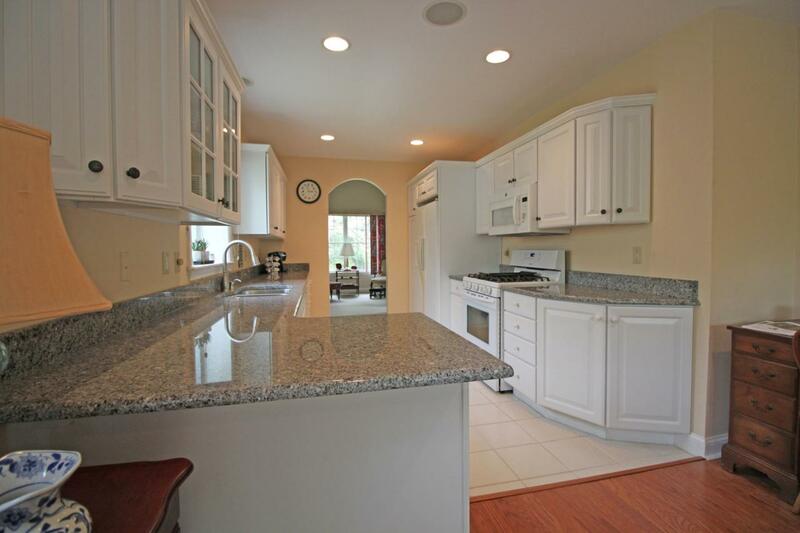 It is very close to Mashpee Commons for easy and varied shopping, dining, and entertainment. 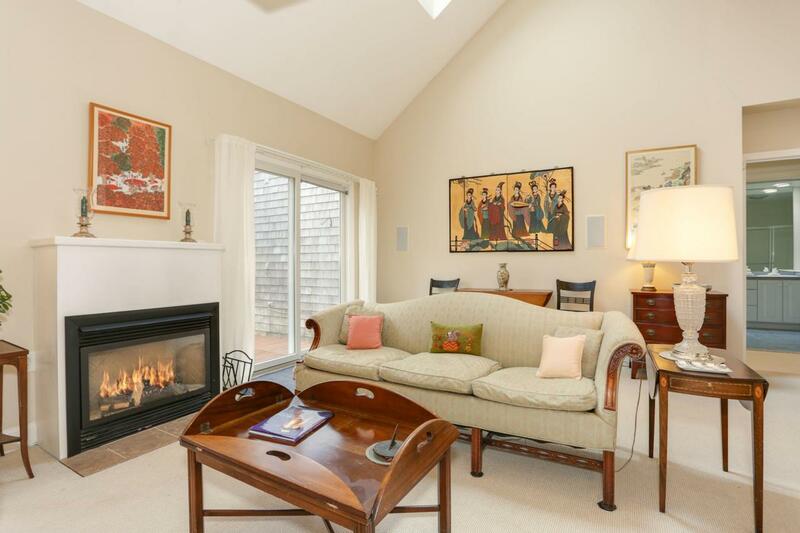 Close to Cotuit Center for the Arts with its many programs and theater. So convenient for an active lifestyle! Awaiting updated version of Rules and Regulations to detail any restrictions on pets, parking or other rules. 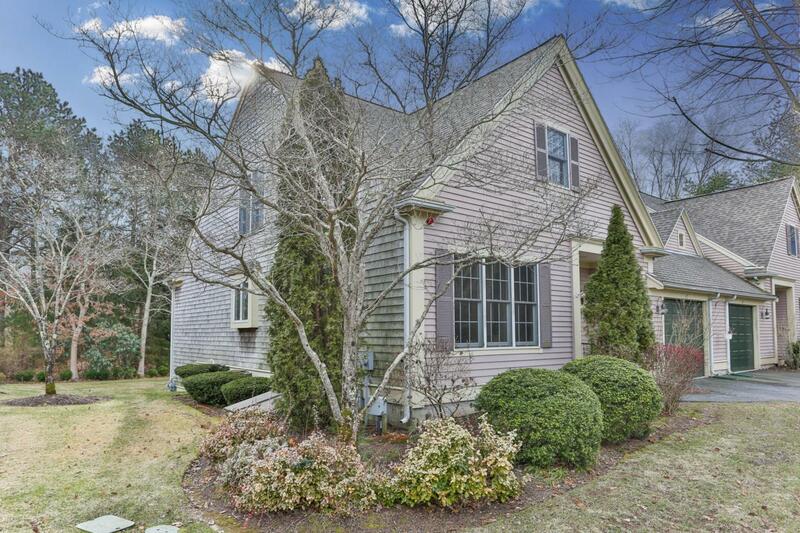 Listing provided courtesy of Deborah A Schilling of William Raveis Re & Home Serv..